Free to members or with admission to the sculpture garden. Advance registration encouraged: please email pmorris@lyndensculpturegarden.org or call 414-446-8794. As part of her residency at Lynden, Rooted: The Storied Land, Memory, and Belonging, Portia Cobb has invited several artists to respond to her work on Lizzie’s Garden and, by extension, Fo Wilson’s original project, Eliza’s Peculiar Cabinet of Curiosities. Eliza’s Cabinet is both wunderkammer and slave cabin; it imagines what a 19th-century woman of African descent might have collected, catalogued and stowed in her living quarters. Informed by historical research, but represented in the past, present, and future simultaneously, Eliza presents an imagined collection of found and original objects, furnishings and artifacts. With Eliza's Cabin, Wilson positions the Black imagination as an essential element in Black survival and self-determination. Like several of the artists participating in the Eliza Project, bass baritone Benjamin Seabrook is interested in the cultural traditions of the African diaspora. Like Portia Cobb, he shares a particular interest in the Gullah Geechee people, “the USA’s African-European Atlantic Creole People, or USAAEACP.”For his intimate concert on the porch of Eliza’s Cabinet, Seabrook responds to Lizzie’s Garden with You Da Gullah/Geechee Too, an a cappella recital of traditional spirituals, hymns and oratories unique to the cultural history and memory of the Gullah Geechee people living along coastal South Carolina. Benjamin Seabrook is a bass baritone, an orator, and a cultural preservationist from Oakville in rural Charleston County, South Carolina. He began singing at an early age in the African Methodist Church. His love of oral history is captured in the traditional spirituals and hymns, some of which recall African American life in the Low Country in nineteenth-century South Carolina. 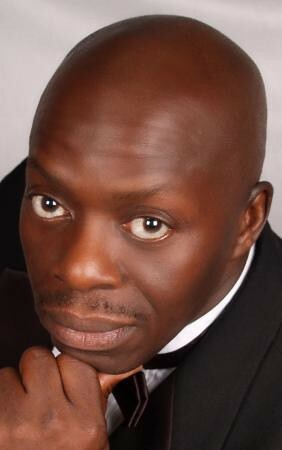 As a student, he performed and traveled with the Voorhees College Male Ensemble and Concert Choirs and was later recruited to study voice with the late Byron Steele at Trenton State College in New Jersey. In Trenton, he has performed with and for: The Artist Showcase Theater, Princeton Pro-Musica, The Delaware Valley Choral Union, Trenton Civic Opera Company, and the Trenton State Opera Workshop. He also served as Minister of music at Trenton’s Mt. Zion A.M.E. Church. Seabrook’s repertoire is diverse and ranges from classical opera to spirituals, oratories, and concertos. His performances have included roles with Madame Butterfly, Amahl and the Night Visitors, La Boheme, The Mikado, La Traviata, Mozart’s Requiem, The King and I, and Show Boat. In 2016, he performed in the George Gershwin classic opera Porgy and Bess, a production of the Piccolo Spoleto International Arts Festival in Charleston. Other notable achievements have been solo a cappella and ensemble recitals across the Low Country and beyond of traditional music selected from historic Gullah Geechee songbooks that he has researched. Seabrook earned a degree in Music Education, and taught in the public school system in Trenton, New Jersey for 25 years. Following retirement, he returned to Oakville to reclaim his family’s homestead. In 2015 he completed an impressive 21-day, 609-mile trek as a solo cyclist across three states, giving free concerts for parishioners in a few of the oldest African American churches along his route. He also appears in Portia Cobb’s video, Performing Grace (2016).